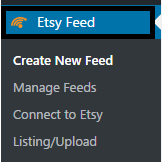 This post will explain the steps on how to create your developer account on Etsy Merchant so that you can completely setup your version of ExportFeed to create feeds for Etsy and benefit from selling there. he First step will be to navigate to https://www.etsy.com/developers and click on the Register as Developer link. Next you will be approached by a simple registration form where you will need to provide some basic information like: Your Name, Email, Password and Username. You can also use to register using Facebook or Google account. After you provide your registration details, you will be sent a confirmation email which you will need to verify. Provide the description for this application. 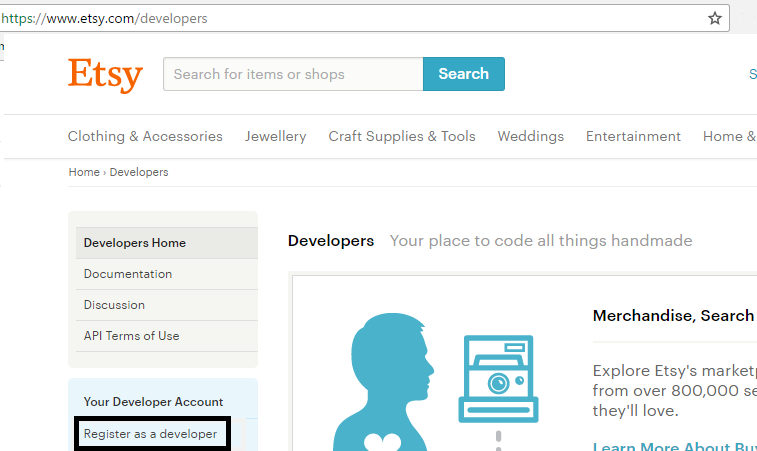 Sample – This app is used to create product feed for Etsy from YourSiteName. This app meets all the product feed requirements. Click on the check box besides Seller Tools. Who will be the users of this application? For this, select the option Just myself or colleagues. Is your application commercial? Will you charge people to access the application? Select No for this option. Will your app do any of the following? Can check more than one. 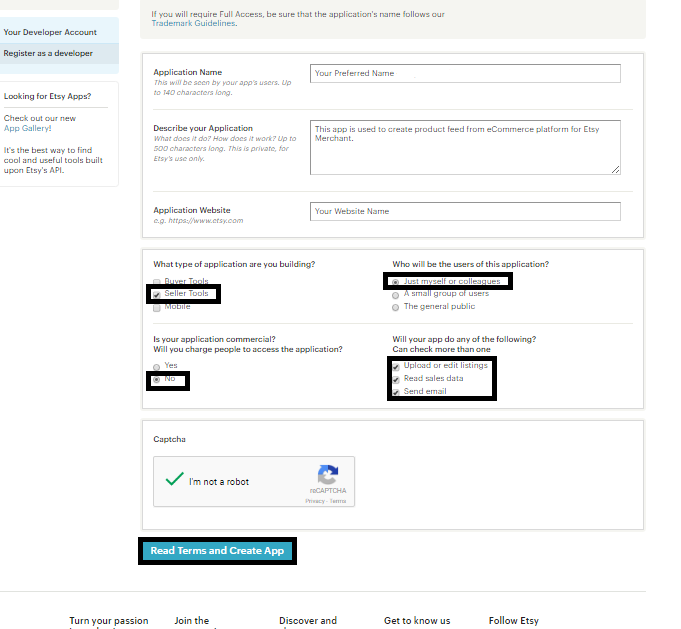 After filling up this form, verify the captcha and click on the Read Terms and Create App button. 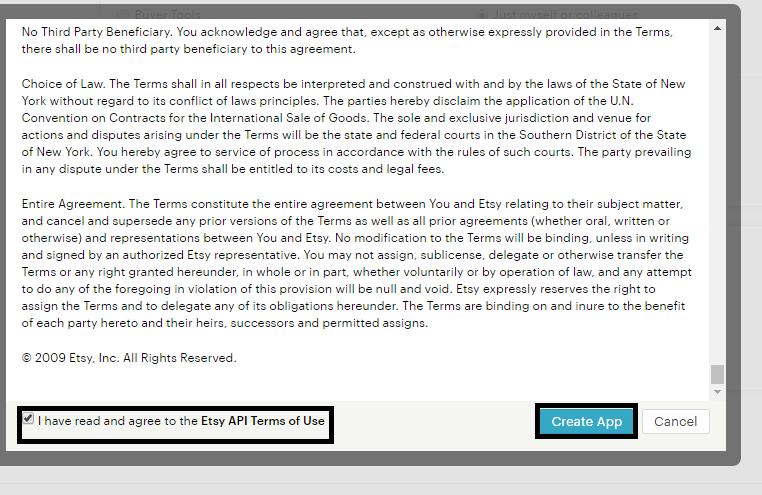 Now you will get a success and Welcome to the Etsy API message. 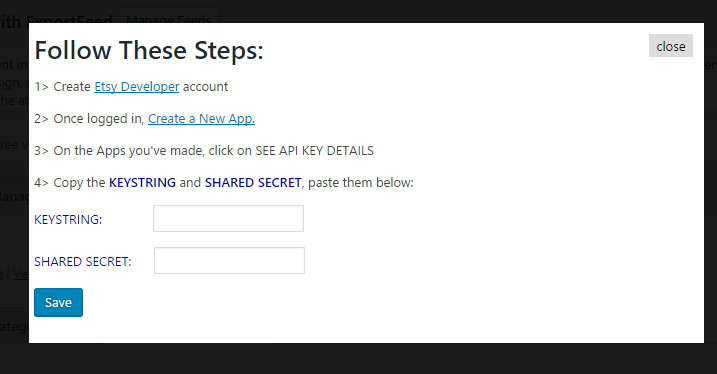 Here you will find the App Name, Keystring and Shared Secret of your App. You will need to get this information to setup your ExportFeed account. 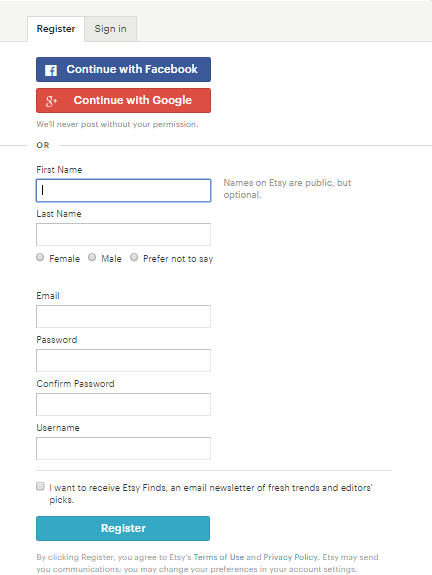 After you install and activate this plugin and click on the Etsy Feed on your WordPress Admin panel, you will be prompted to enter the KeyString and Shared Secret like in the screenshot below. There enter your previously created Keystring and Shared Secret and you are ready for the Etsy shop setup.